Canavan Construction Ltd was founded in 1999 by Denis Canavan who, brought to the company, many years experience at both site level and senior management within the construction industry. The ethos of the company is one of quality and exceeding client’s expectations. Our team of loyal, dedicated professionals offer a fluid and flexible approach to contracting to ensure the Client’s needs and aspirations are realised in the most cost-effective, health-conscious and quality controlled environment possible. We believe in working within an atmosphere of mutual respect and trust whilst sharing aims, objectives and successes within an integrated team working environment. Our continued commitment and passion is spearheaded by strong leadership and evidenced by our completed projects and satisfied clients. Our staff is of key importance to us and we endeavour to ensure they are trained to the highest standards. At Canavan Construction Ltd, we manage a broad spectrum of projects, which range in value from a few thousand to multi-million pounds. A large percentage of our contracts have been secured from recommendations from previously completed projects which obviously speaks for itself. 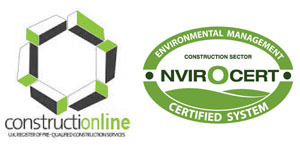 Canavan Construction Ltd implements a structured Health & Safety management system, devoting a huge amount of time and resource, to ensuring that the system would not only cover legislation and protect the company, but provides the safest working environment possible for it’s employees. H&S training is ongoing within the company, with all employees having gained CSR cards according to their trade. 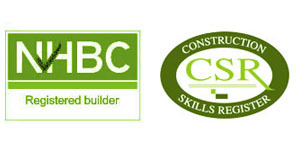 Canavan Construction Ltd can provide clients with the NHBC 10 year structured warranty, if required. The quality of work output is consistently monitored by the Contracts Manager, Foremen and Denis Canavan, who believes in taking a hands-on approach. The workforce, including sub-contractors have been working with Canavan Construction for a number of years and understand the high standards which are expected. All the workforce are highly skilled and have served recognised apprenticeships within their respective trades. 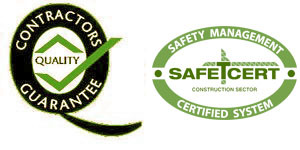 Canavan Construction Ltd uses the structured company procedures and standing instructions to ensure quality assurance. These are the basis for the company’s quality system. Employees are highly trained, and are expected to adhere to the established procedures. These procedures are reviewed and updated on a continuous basis as the company expands and develops and as clients’ quality requirements develop. Another warranty body that Canavan Construction Ltd is registered with and can be provided upon clients request. Can be provided on various projects upon client’s request.